May 2016 – RallyNews – Patterson Pacenotes Extra's….. The Triton Showers National Rally Championship returns to Co Cavan this weekend. The event is boasting a full entry, and Cavan Motor Club have once again laid on a fantastic but very challenging route. A few competitors have asked us to give them some indication about the technical nature of the stages. 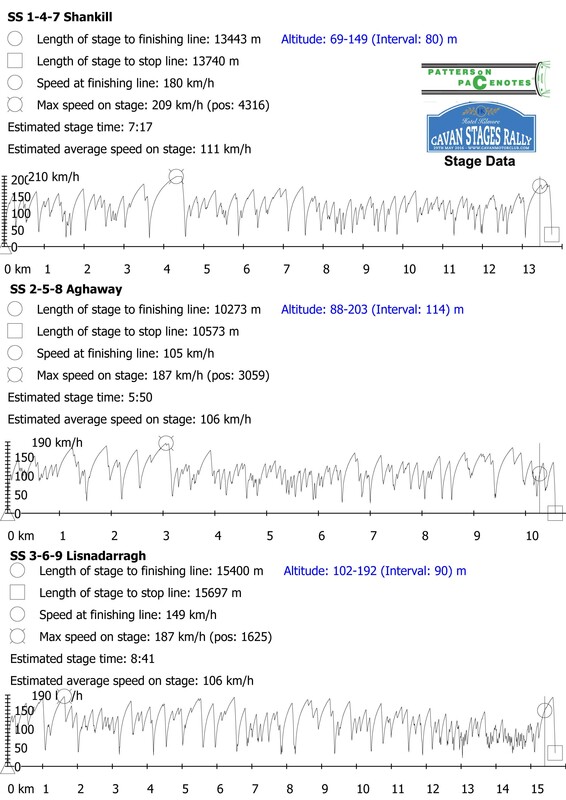 Below is a brief listing of the speed graphs and data acquired with the Jemba Inertia Pacenotes System.